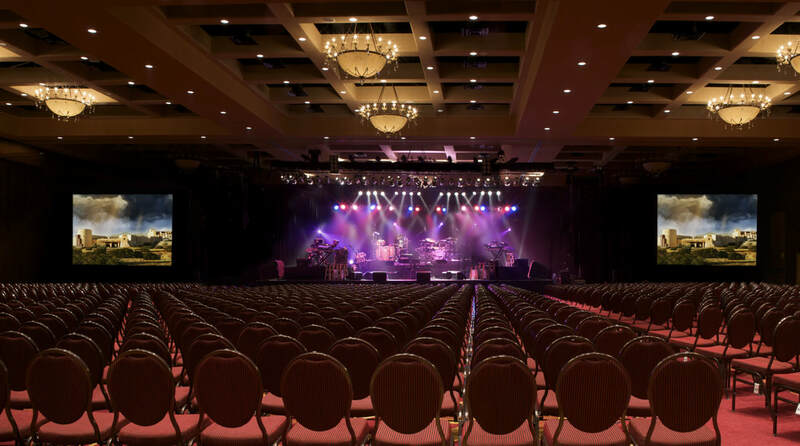 The award‐winning Hilton Santa Fe Buffalo Thunder is ready to accommodate your every business need, featuring the largest conference center floor in the city. 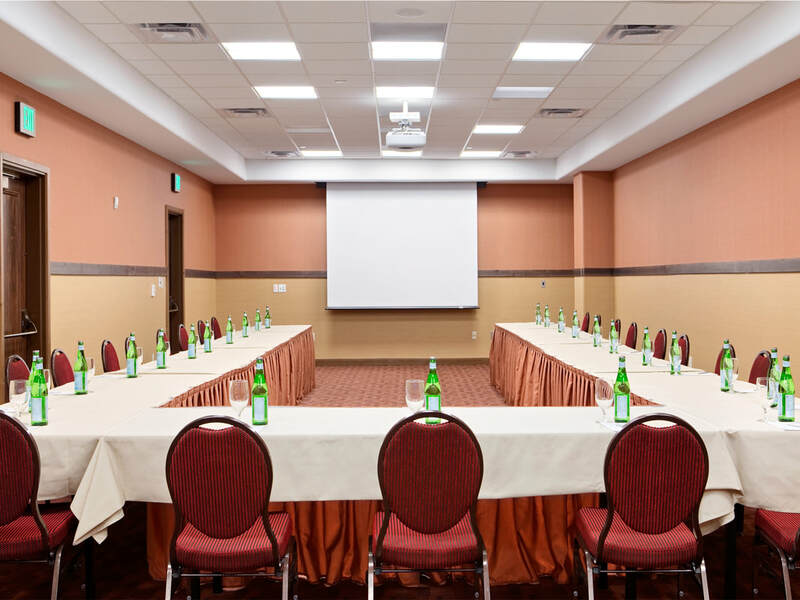 Rich elements of Native American design highlight our unique, yet state-of-the-art Sante Fe meeting room facilities. Over 66,000 sq. ft. of dynamic space is anchored by the Tewa Grand Ballroom. The conference space is flanked by more than 25,000 sq. ft. of pre-function space. From small business breakfasts to large conventions and formal banquets, state-of-the-art technology allows for dynamic and interactive presentations of every kind. The resort also features unique and signature outdoor Santa Fe wedding venues, event spaces and its own on-site wedding chapel.